As a leading regional consultancy firm, operating primarily in the Middle-East, Gulf and North Africa, ELARD has become a key provider of services to the oil and gas sector in the region. 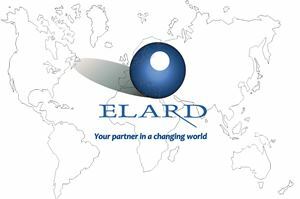 ELARD has been established in 1996 in Beirut, and rapidly grew to have several permanent offices in the region, such as in the United Arab Emirates (Abu Dhabi and Dubai) and recently in the Mozambique to better serve its regional clients. ELARD experience extends to many countries including Lebanon, Jordan, UAE, Qatar, Oman, Saudi Arabia, Pakistan, Nigeria, Egypt, Morocco, Tunisia, Algeria, Montenegro and the Caspian countries. Our Expertise to meet our clients' needs through a team of dedicated professionals with extensive experience and distinguished qualifications. Our Commitment to give priority to our clients' satisfaction, needs, organizational goals and resources. Our Vision for a better tomorrow inspiring us to devote all our efforts to the success of a project.